Product photography is something different from the most common photography categories. When you are planning to sell products to online customers, you have to present it professionally. How will you do it? 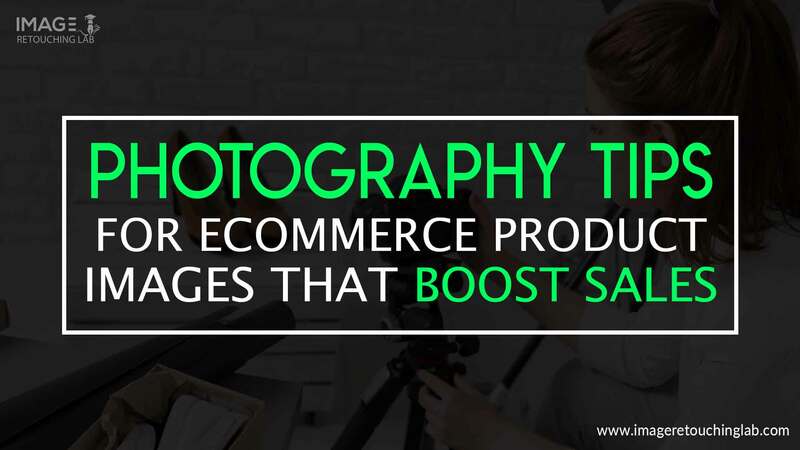 We are going to present some fantastic photography tips for ecommerce product images. Before that, we have to know the importance of product images in an online business. Let’s move to the point. 1 Why Are Product Images Important For Ecommerce Business? Why Are Product Images Important For Ecommerce Business? How does a customer choose a product through an ecommerce website or online media? The answer is- ‘photo’. When you want to sell a product online, you need high-quality images. Have you ever visited Amazon or eBay? How it looks when you see the product images? Let’s see how much importance can it bring for your business! A business should have its brand value. In digital marketing strategy, every business owner is very much aware of making their branding through various online media. The branding makes trust and a strong relationship with the target audiences. Images are a vital element to do it correctly. Relevant photos help to enrich your content and increase engagement with users. How many visitors are interested in reading the whole content in their busy days. Maybe only a few can. What do they want to see in an ecommerce website? Yes, almost all the audiences look for the product images. Every person wants instant information rather than spending time reading lengthy contents. A single snapshot can make your content of products more worthy than it’s thousands of words. One of the key elements in on page SEO is providing quality images with ‘alt text’. Google always prefer relevant images with contents. If a product consists only content, audiences may get bored as he/she can’t get the actual information of the product. When you include file names and alt text with the image, it increases the possibility to be indexed in Google fast. Before buying a product, a customer wants to understand it first. How can you let him/her know this? The best way is by presenting the photos to your customers. Keep in mind that it’s better to shoot pictures from different angles and it will help to get a clear concept about the product. Sometimes a single product is not clear by its single image that is captured from an angle. So help customers to understand your products by some clear and amazing photos. Social media is a crucial factor in product marketing. How can you improve the sharing of the products through this area? Well! High-quality photos of a product can attract visitors easily and let them the chance of sharing it. You can share your product photos with the description in the most used social sites like facebook, twitter, Pinterest, Tumblr, and more. Product photos are the most crucial elements that help to increase your sales. If it is visually appealing, visitors can turn into customers easily. First, ensure the quality of the products you are selling through the website and keep the best possible photos. In some ways, the more product images, the more sales. That means it will be more effective using five photos rather than two or three. More images will attract more visitors easily. It’s easier to take the decision to buy a product by looking at the images closely. Not for only ecommerce business, it’s essential to use proper photos in proper places. When you are building your store with a lot of contents and other materials, it can be usable surely. But without images, it’s not completed in many ways. Appealing images can turn your content more interesting. Photography is not only about clicking the products from your camera. Best photographers always suggest some tips to make it more suitable and mature for the ecommerce store. Let’s learn some of the important suggestions about digital photography from the experts. What if the product photos are captured in the camera with poor resolution? It’s not necessary to shoot it by costly DSLR or something like that. If you choose it, learn the functions of DSLR camera. You can also capture through your smartphone or a camera you prefer with high-resolution. Before that, you should know how to take good photos with phone. As quality images do fact, these will ensure some quality images for your business. Tripod helps you to shoot the products from different angles. A good tripod makes your photoshoot versatile and more presentable to the audiences. It’s not only an essential element for product photography, but also for travel and sports photography. Sometimes you will need to show a product from the top angle, and sometimes from the left or right side far from the subject. Make sure to capture it with the help of a good quality tripod and get the expected result. Photography is all about the use of colors. Every product has its color pattern to make it realistic. Be very sensitive about this issue and try to make a balance with contrast and brightness. Don’t use two different light temperature as it makes the environment complex. You can fix the problem of white balance later with the help of an expert image retouching service provider. It helps you to correct the color as per the image need. One thing to remind you- from the logistic side of your image, use your thinking to use the proper tone in terms of the product. Product photography is not rocket science that has only some specific rules. It’s not like that you have to capture the product by keeping it on a cupboard or a table. You don’t need to use any fixed angle always to pick a photo. So, sometimes break the rules and choose on your own. Reflections make product weird to the audiences. Many new photographers make mistakes to shoot pictures with less attention in lighting. You should be aware of the light and reflection that come to the product. Sometimes it becomes complex to capture images without reflection as it comes from the different sources outside or inside a studio. You may get help from photo editing or retouching expert after the photoshoot. Innovative ideas create senses to make a product photo alluring. As a photographer, you need to generate new and innovative ideas that sell products. Show the most uses and benefits of the products through your images that help to grow product interest among the customers. The more you show creativity, the more opportunity of selling the product grows up. It’s not necessary to shoot only the product photos to grow your skill. Experiment with different categories of photography that you enjoy to do. It may be playing with wildlife photography, wedding photography, portrait photography, or any other you know better. Though the techniques are not all the same, you will recognize many small matters related to photography. Whether you are going for product photography, it needs the standard lens. Proper lens for the shoot can bring the best result. It’s not only about the zoom in or zoom out factors. It should maintain a minimum quality of glass that is used in your camera. It controls what and how you can shoot the product. Studio is not only the option to shoot product photos always. Sometimes you need to go outside to take the right picture in terms of the product category. It makes the products more realistic and natural to the customers. If you sell a food item for a dog or cat, you can shoot the product near a jungle or similar to that with the pet. Natural light is something that brings new and charm in the product. Try to shoot a sunglass in a studio and sunlight both. You will get different looks on that particular item. For the beginners, it may be hard to control the lighting and brightness on the camera. It can be a great way to get the natural looking product if you can capture it perfectly. Product photos have different categories in terms of different purposes to use and industry. Not every product need the same type of photoshoot to make it appealing to the audiences. Suppose, you are capturing jewelry products (ring, necklace, or something like that). What should be focused here to you? What do the customers want to see in a jewelry product? On the other hand, when you are with sports products (cricket bat, football, etc. ), the scenario will not be the same as before. So, know the types of products first, and apply your best. This is the first criteria before shooting product photos. What if your products are not clean and prepared? Will it be focused on your customers? So, make sure the products are totally ready for which you are doing the photography. Arrange the products by size and weight. Show the product number with its label. Thus, when the products are finally ready to show, start the studio to shoot. When you are planning to deal with significant amount of products, you need to make multiple stations ready for this. Whether a few products to shoot, you can afford in a small studio. On the other hand, to work with a lot of product photos, try to set up a large product station. When you completely set up your studio to make the shoot, sometimes you need to move in terms with your need in capturing the best images. A remote control facility allows you to click in time when the camera is ready. It will enhance the productivity of the photoshoot process. As it’s not a mandatory material for product photography, you can avoid it as a beginner. Set up the dual monitor in your photography station to handle the post-processing task. You can increase productivity without going to another machine. It can reduce a lot of time of yours as a photographer. You can have time to play with your photos and with the software tools as well. Use one monitor that can be used in photo editing, and the other one is to display the software for live preview. A product photography needs many small accessories to set up the studio, and also for post-production activities. There are several types of tools like air puffers, swiffer pads, box cutter, scissors, hooks, glass, and many more for various activities. Sometimes a small tool can make your work simple or complex as well. Know the accessories and their power to be more benefited. Keep your image frame clean from the unwanted materials. Many beginners do this kind of mistake mostly. You have to face some critical problems if there are additional objects that are not necessary. Firstly, you are wasting the frame space and need to clean it. When it needs to remove, you need image editing task to be done by an expert. That means it is increasing your cost. So, keep your photo frame free to get rid of negative impacts from your customers. It’s not a duty of only the marketers to research on the targeted market. While you are a photographer and doing photography for the business products, you also need to do the market research to understand it in depth. Understanding the market will help you to deliver the proper message to your visitors. That’s why it’s important in several ways that can increase your sales finally. A good quality product photography depends on some basic criteria and using white background is one of them. It’s not a must condition for this, but it helps for the beginners. To eliminate distractions, the white background can be a great way. You can use it by photo editing tool like Photoshop or by any expert image retouching service provider. How you see a product in Amazon or AliExpress? When you see a simple dress wearing a man or woman, you can see it from every angle, right? If you wish to present a beautiful dress to online customers, you have to be open to let them see in every angle it can. Thus, customers will be able to get a total and clear concept about the product. Thus, the trust will increase among them and sales will be higher. A perfect photography is not only about the photo shoot with some tips and tricks. It needs some post-processing tasks after capturing the photos. When you finish the product photography, some unwanted objects can still make your photos imperfect. There are many free and paid tools to work on this, or you can hire any professional. A professional image retoucher can make it perfect by adding effects, color correction, clipping path service, and many more related to photo editing. Hopefully, you got some photography tips to shoot excellent product images for online business. What if you need to make changes in the photos? So, we are giving a short list of some easy and comfortable tools that help to style your product photography. These are included with free and paid versions. As a beginner or professional, you can be benefited with these by making changes as per your demand. Adobe Photoshop is the most common and popular name in photo editing industry. Whether it is product photo or any other photos from a different category, this tool is just awesome. If you are skilled in this tool, it can be a career qualification too. If you are a beginner as a photographer, Canva can be a post-processing tool for your product photo. You can use some advanced tools and elements only with a few dollars. It can export the files directly to social media. GIMP is another popular photo editing software with a bunch of features. You can easily find the digital retouching solution with this tool. It can be used in both Windows, Mac, and Linux platforms. Fotor is a modern and professional image editor that can be very helpful for photographers. It has advanced layering options with many easy to use features. Inkscape is a free and multi-featured image editing software. It allows you the complete control over your product photos that are ready to polish. We come to the finishing point on the discussion about photography tips for ecommerce product image. Hopefully, it will help you as a product photographer to get the most attractive and perfect images for online business. Do you prefer any other ideas on product photography for beginners and professionals? Well! Feel free to share your thoughts with our audiences. Till then, have a good day!